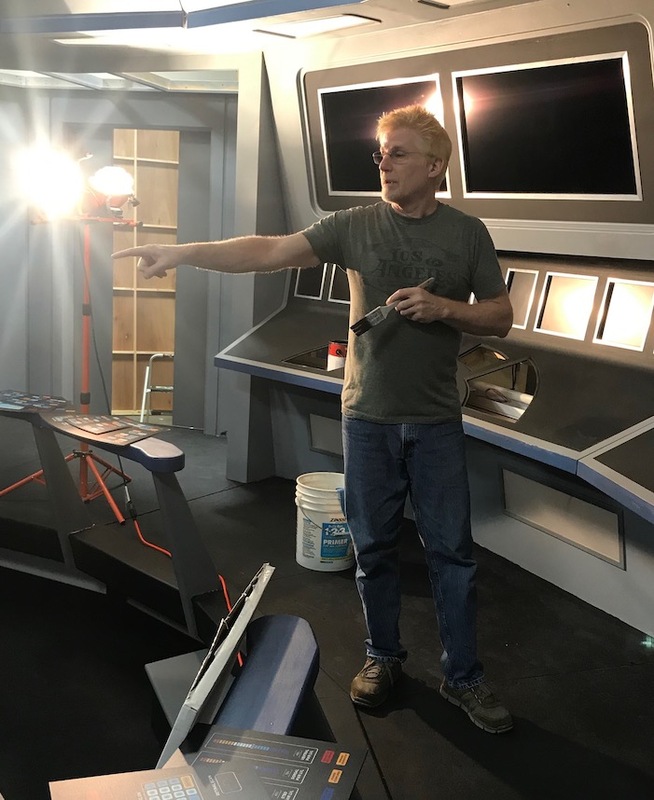 While before Axacon we had a huge and fantastic group of professionals and amateurs getting the bridge ready, now the work has fallen to Dana Wagner, James Simpson and myself as we all live close to the studio and are all self-employed or have flexible schedules. 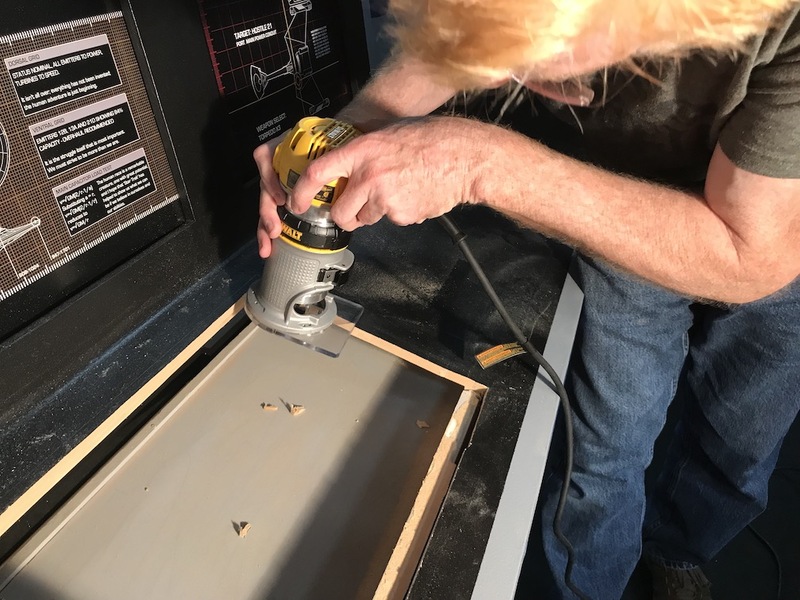 Now Dana came in previously and used his fancy new router and his sander to get the openings on all the consoles around the outside so they would fit in perfectly. We didn’t have time to do this before Axacon, and so many of the panels were not fully situated in the consoles. That has all been resolved thanks to Dana! Today Dana and James and I worked on the tactical console and painting the consoles that Dana worked on this last week. 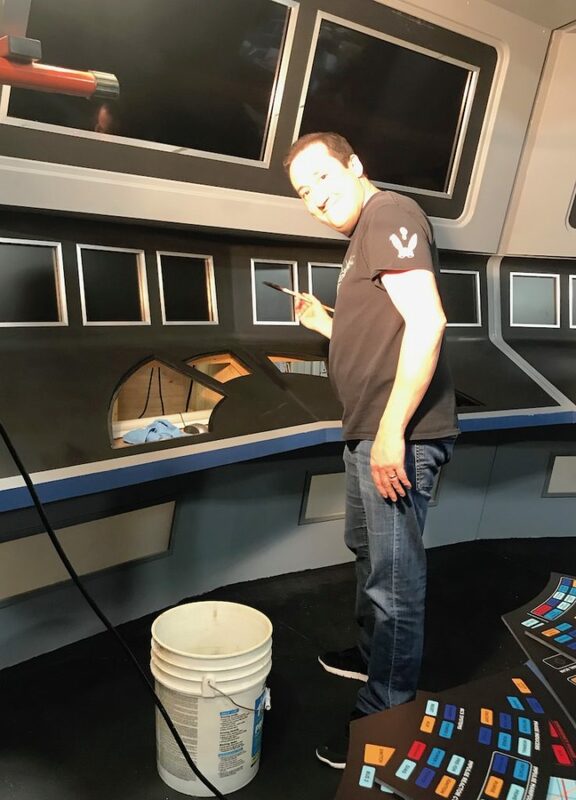 James Simpson painted all the edges of the console openings that Dana worked on last week. Dan started on the Tactical console, which has three openings that need to be cut out. 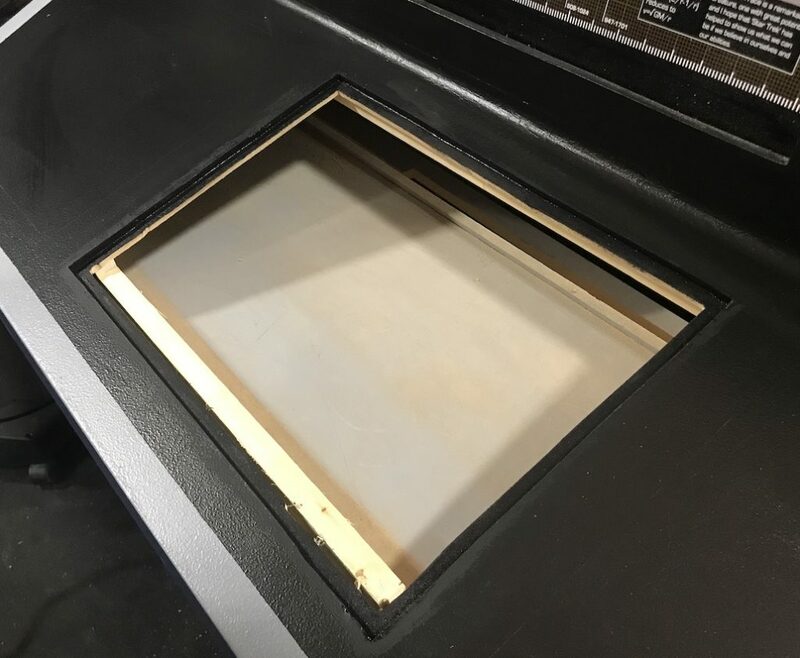 But we ran into a problem in that there was a wood beam right at the bottom of the console that we did not anticipate, so it took a long time to get the opening right. 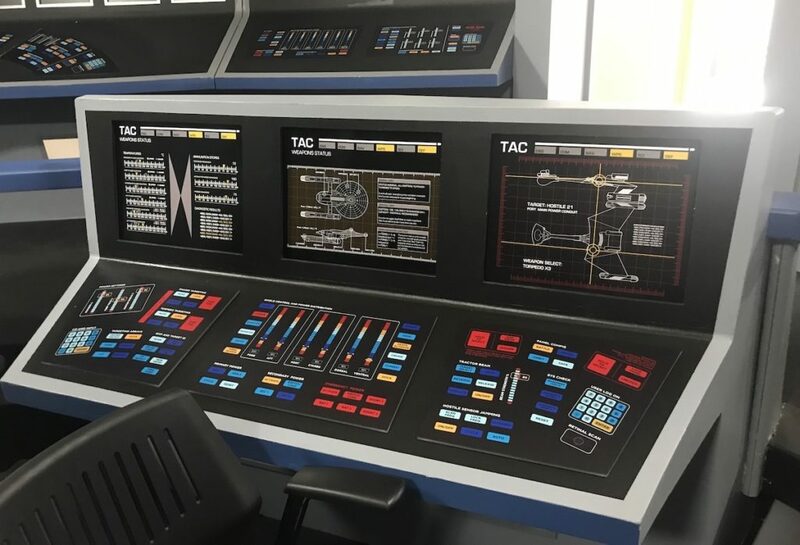 But Dana finally got the opening done, and learned a lot about how to do the other 5 openings – 2 on the Tactical console, and then the 3 on the Fleet Ops console. But that will have to wait! More on our Bridge Update!